It looks and smells good, but we certainly don’t recommend eating it. In our bid to slowly spice up the entire world, we’ve has teamed up with soapmaker Aron Englefield to create a spicy soap. Greenwich-based Aron, who devises his own recipes and creates all his soaps by hand, happily took on our challenge to create a soap that captured the essence of India – and he’s named it Susunia soap, a hill in an area of natural beauty in West Bengal that is renowned for its plants with medicinal qualities. The result of his skill is a soap that includes cinnamon and coriander essential oils for fragrance, turmeric for its rich yellow colour, plus a hint of garam masala. The red specks are real bits of chilli powder (don’t worry the heat properties of the chilli are destroyed in the soap-making process so it’s just for effect). 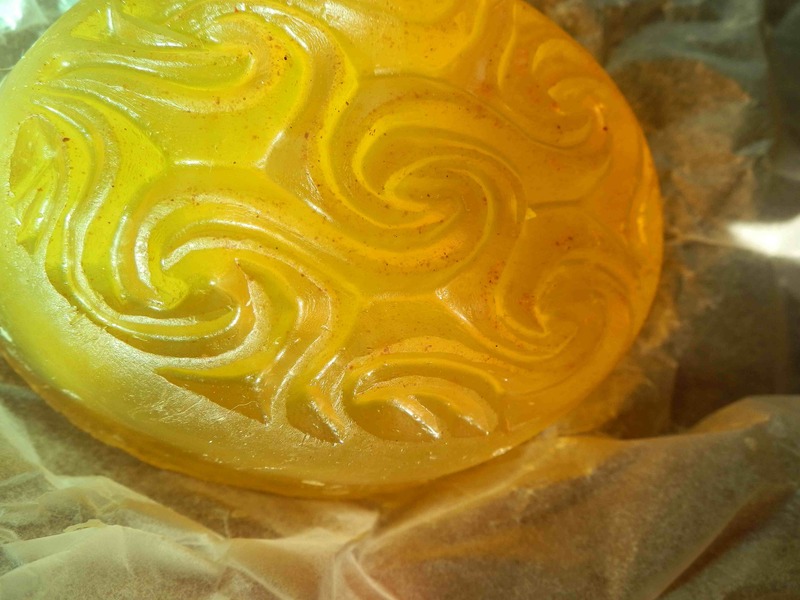 The swirls from the mould chosen for the soap are nods to the elaborate designs of the great Moguls. Englefield, who has studied aromatherapy, has been making soap for 12 years and sells it locally to a loyal client base. His range includes a Charcoal soap (leather and coal tar), Gold soap (gold mica glitter, frankincense and myrrh), traditional English Lavender soap with a lavender bud exfoliating surface, plus an Ancient Egyptian perfume oil (based on what was used in the pyramid days). He also gets commissioned to create special bespoke soaps, such as one he created recently for a wedding in Hong Kong. His soaps sell for between £3 and £5 each. The first thing you’ll notice about all these handmade soaps – especially when compared to commercial soaps – is that there is certainly no skimping on the quality of the fragrance.